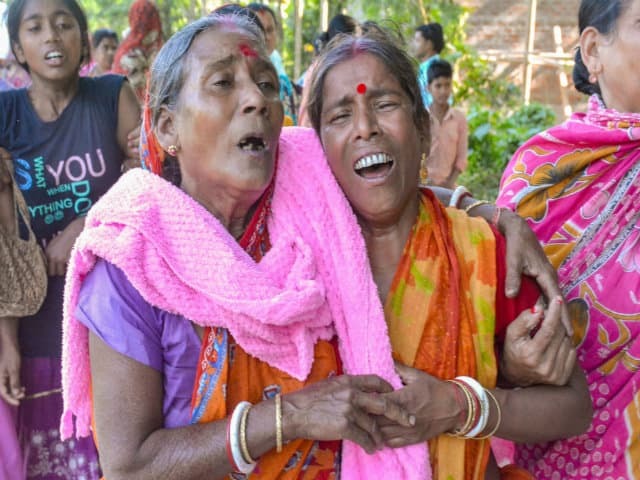 The Assam Police on Friday launched a “massive combing operation” to nab those involved in the killing of five persons, including three members of a family, in Tinsukia district. Police suspect the gunmen belonged to the ULFA (Independent) faction as they were dressed in battle fatigue, but the outfit has denied its involvement in the attack. A group of assailants had called out six people at Kheronibari village three from their home and as many from a local shop around 8pm on Thursday. They then took them to the edge of Dhola-Sadiya bridge in the area and opened indiscriminate fire, killing five of them on the spot. One of them fell off the bridge and survived the firing. Director General of Police Kuladhar Saikia and Additional DGP Mukesh rushed to Tinsukia, shortly after the incident, to review the law and order situation. The lone survivor in the incident, identified as Sahadeb Namasudra, told reporters on Friday morning that he had a “providential escape” as he fell off the edge of the bridge, where the gunmen had lined up the six persons and shot five of them dead. Though he did not sustain injuries, he fell unconscious out of fear and nervousness. On regaining consciousness, he found one of the five persons still alive beside him, Namasudra claimed, adding that the man died before any arrangement for help could be made. In view of Thursday night’s attack, security has been beefed up in the state with Chief Minister Sarbananda Sonowal directing all deputy commissioners and superintendents of police to remain alert. “Strong action will be taken against the perpetrators of this dastardly violence. We will not tolerate such cowardly act,” Sonowal said. Water Resource Minister Keshav Mahanta and Minister of State for Power Tapan Gogoi have reached Tinsukia. Political parties and organisations across the state have condemned the killings and demanded that the culprits be immediately nabbed. A bandh, called by All Assam Bengali Federation, was being observed on Friday in the district, in protest against the attack. Vehicles were off roads and shops were closed. No untoward incident was reported till 9 am, a police officer said. Meanwhile, Krishak Mukti Sangram Samiti leader Akhil Gogoi said “a third force” might be responsible for Thursday’s attack.